No. 1 in C Major "Waterfall"
No. 2 in A Minor "Chromatique"
No. 4 in C Sharp Minor "Torrent"
No. 5 in G Flat Major "Black Keys"
No. 6 in E Flat Minor "Lament"
No. 7 in C Major "Toccata"
No. 8 in F Major "Sunshine"
No. 11 in E Flat Major "Arpeggio"
No. 1 in A Flat Major "Aeolian Harp"
No. 2 in F Minor "The Bees"
No. 3 in F Major "The Horseman"
No. 4 in A Minor "Paganini"
No. 5 in E Minor "Wrong Note"
No. 6 in GSharp Minor "Thirds"
No. 7 in C Sharp Minor "Cello"
No. 8 in D Flat Major "Sixths"
No. 9 in G Flat Major "Butterfly"
No. 10 in B Minor "Octave"
No. 11 in A Minor "Winter Wind"
No. 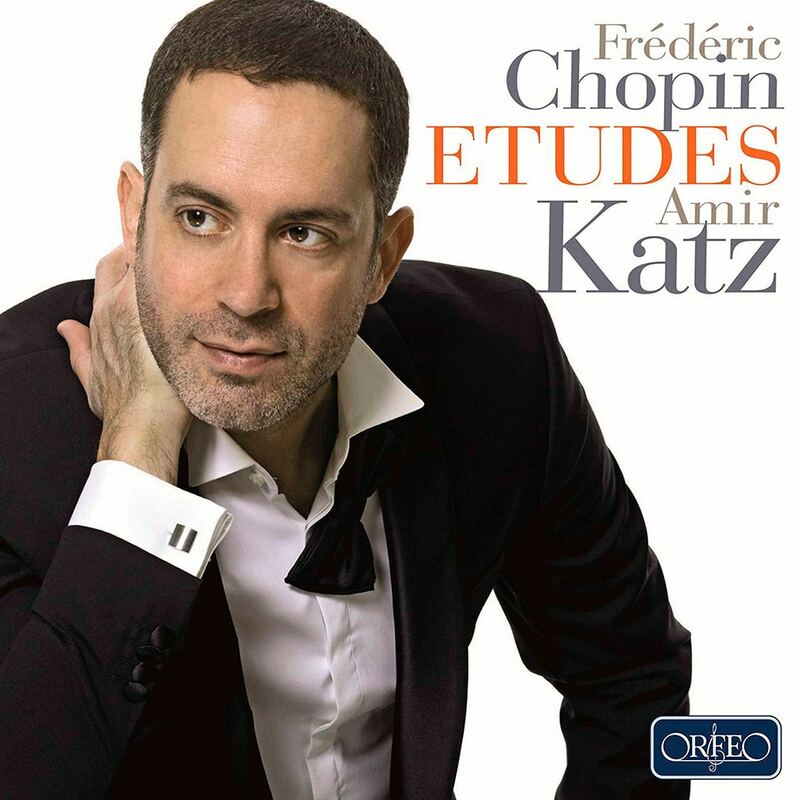 12 in C Minor "Ocean"
Praised for his mammoth live and recorded performances of full cycles of Romantic works by Schubert and Mendelssohn, Israeli pianist Amir Katz here turns his attention to Chopin’s beloved Études, Op. 10 and Op. 25, performing these challenging compositions with clarity and warmth.